I had no idea that Code S was such a difficult place. When I first got in to Code S, I didn't have much obstruction in my pathway so I didn't really understand the difficult that much. Now that I have felt this I started thinking a lot to myself that I should make sure that I never fall out of Code S again. How did you prepare for your group? There were a lot of Zergs. I wasn't really able to prepare a lot. The team disbanded so everyone moved out today. Therefore, I really couldn't practice. I just came up with build orders as I stuck to the basics. The match against Center. Honestly, I got really lucky and Center let his guard down. I thought to myself that I couldn't win that game. Regarding the final match, there was a potential threat that a three way tie could occur. Did you feel pressured by that? Of course I didn't want to face the three way tie. It would have been a battle between three players for one final remaining spot. The only thought that came to my mind was that I absolutely had to win no matter what and advance. For Code S that will begin on January 22nd, there are few Protosses and a ton of Zergs and Terrans. I really can't comprehend why Protosses can't make it through like this. If the Protoss players do well, I think they can make it through with no problems. As long as the other Protoss player exert everything they've got, I think they'll be fine. I would understand the lack of Protosses if it was in the past but with infestors getting nerfed like that I just don't understand it. This is the final WoL tournament. You must want to win the championship. In the past, I would stated within my interviews that winning the championship was my goal but for now I've gone back to the beginning. I was able to realize how difficult it was to get back into Code S so for this time, I am going to play as if I am a newcomer and take on every single Code S match with performances worthy of Code S status. How is the search for a new team coming along? GOMtv representative Lee Joon Ho is taking care of things for me but as far I know, no offers have come in yet. So I'm still waiting. But I'm not anxious or anything. I know that I am confident and that I have what it takes. How does it feel to be teamless? TSL was a team that taught me a lot of things. The reason I was able to put up such good results was because I joined TSL and I got through my very first qualifiers because of this team. TSL is a team I will never forget. My teammates were like family to me. This wild card group consisted of three TSL members. What did you talk about before the match began? We told each other that we should all do well and that we should all try to have fun. Today was going to be the last time we wore our TSL uniforms so we told ourselves we should play with no regrets. Our of everyone in TSL, I think head coach Lee was saddened the most by our disbandment. I know that he's having problems back home as well so I hope that he remains strong and perseveres through any tough situation. So far, myself, HyuN hyung, Center, RagnaroK, Shine, and Cyrano are still teamless. Everyone is very talented and have a promising future so I hope other teams can help out quickly and pick them up because it will be worth it in the long run. Coach Kim Ga Rahm also went through a lot for us. He always came to the studio by himself, took care of us, is great at his job, and is a very sincere person so I hope he finds another coaching position soon. 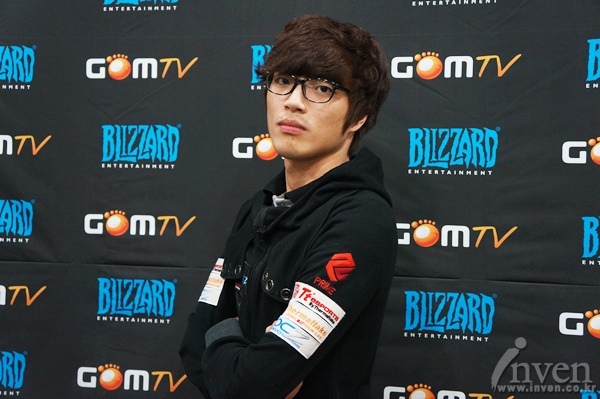 Also, Polt hyung is currently living in America but he still hasn't found a team yet. I want to let Polt hyung know that I am rooting for him while he's living in America. Lastly, this is my first interview in a while. Back when I was doing really well, these interviews really didn't hold that much of a meaning to me but now that I am in this spot I realize just how precious these interviews are to me. Since I've made it to Code S, I am going to work hard so that people will say that I deserve to be here. How do you feel about making it to Code S? When I was at two victories, I was a shoo in for Code S as long as Symbol won. But then Symbol hyung lost so I was scared that I wasn't going to make it. As it turns out, I didn't fully understand the format of Up/Downs because I was later told that I already made it through. I didn't even think about it but it was really good to hear that. They weren't really difficult. Mainly because I had kind of given up on myself (laughs). During the previous Up/Downs, my performance was abysmal. I pretty much didn't even understand how in the world I got in to the Wild Card stage so I came without any expectations and I think that actually ended up helping me. The most difficult game of today? The final game against Symbol. I'm normally the type of player who plays it safe but since I already secured my spot for Code S I decided to play greedy from the get go. Unfortunately, it did not end up working. That's why that game was the most difficult. It feels like it may be time for you to show everyone what you've got for Code S.
I don't think it's time yet. I made it to the semi finals in July two years ago and I also made it to semi finals around July last year as well. Which means I need to show what I've got for July of this year. Do you feel like this tournament is different because it's the final WoL one? I don't feel that one bit. I haven't even tried out HotS. I've only heard about the addition of new units. I haven't transitioned yet so this season is all about WoL for me. I think if I try out even one game of HotS it's just going to confuse me. Anyone you want to face in Code S? I hate Zerg and I hate Terran. I want to face a Protoss. I played an hour and a half game on Daybreak last time and all I can say is that I was just way too nervous during that game. I could have played that game so much more efficiently. My tactics for late game was so good that it could even be called OP. I could have ended that game in an hour but I did so terribly that I want to face any Protoss and redeem myself. I especially want to take on PartinG. He's the best Protoss currently so I have a desire to face him. First off, I want to get to the Ro16. Losing in the Ro32 means falling straight to Code A Ro48 and then losing there means falling to the preliminaries so I hate that. For now, I think the right thing to do is to set short term goals. I ended up losing the last game so I wasn't able to give Jaedong the three way tie. There was a time where Jaedong, Symbol, and I were all together in Hwaseung OZ. However, I just want Jaedong to know that I didn't take it easy on Symbol or anything like that so I hope he doesn't feel like I threw the game on purpose. Also, this is kind of digressing but I really like music from manhwas (manhwa = manga). There was a new website that opened up called "manhwadongsan" and you can hear those songs from that site. The owner runs that website by himself so I hope he doesn't overwork himself. I want to thank our sponsors TTeSports and OCZ. Lastly, I want to apologize to HerO hyung for that one hour and thirty minute game. He must have been exhausted by the end. I normally don't do mule ceremonies but I was so happy I won that in the end, I ended up doing one. I hope that Coach Lee won't be completely gone, too. tough that TSL disbanded although I'm sure some of them will get picked up. Thanks Seeker! Seems like the harsh nature of code S hit Symbol like a brick. Interesting to see how such a good player can honestly say that code S is really difficult, not only to play in, but to even get in. Makes you respect the people that get in, even when they are new or nonames. Wow, Great shoutout by Symbol. Sounds like he really liked TSL and his teammates in TSL alot. Hope they all find a home soon! Also great seeing him aim for ro8 or better for all eternity, since leaving code S makes it too difficulty to return ;-). lol good ol' excrement made it out of the meatgrinder? So many good free agents right now! haha I have the same feeling about the Protoss players. Well who cares anyway. This season will be better because of it. Thanks for the interviews! Excited for Byun's. And it's hard to believe Symbol and Hyun are still teamless. I'm sure they will go soon! symbol's interview made me sad about TSL... hope they all keep performing like they were (or better) and get picked up soon! Haha, I love Byun's approach. 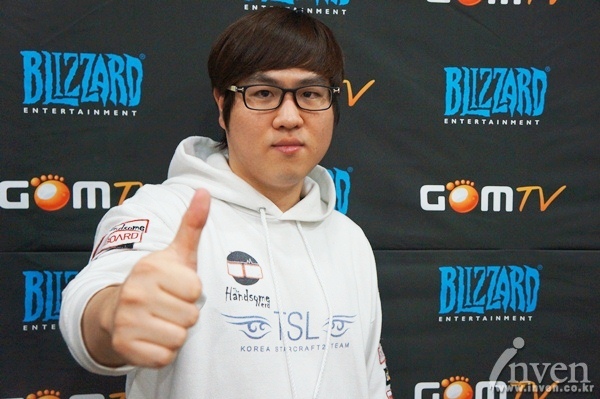 "I hate terran, I hate zerg, but vs P I'm imba and I quite like that!" Thanks for the translations. It's really cool to see how Symbol's mindset about Code S has changed ever since he first got into Code S.
Would be really nice if Prime were able to pick someone of TSL up. All of them are great players with a lot of potential. while also acknowledging the questionable balance in his late game composition. Hope he does well, sounds very down to earth.